This year, Gay Pride seems to be going on and on — especially for those of us who marched or help plan the first Gay Pride March in New York City on June 28, 1970. While we knew it’s historic importance at the time, we often think that others have forgotten us, the reasons for that first march or its true significance. In a stunning victory for the LGBTI community, a federal judge in Massachusetts has ruled that the US Defense of Marriage Act (DOMA) is unconstitutional. The decision by judge Joseph Tauro came in decisions in two separate cases. In the first case, the state of Massachusetts sued the US Department of Health and Human Services. In its briefs, the state said that the Defense of Marriage Act (DOMA) violates the state’s right under the federal constitution to sovereign authority to define and regulate the marital status of its residents. The state alleged that the Defense of Marriage Act is based on prejudice and forces the state to discriminate against its own citizens. Read more: Our Annual Wheels & Technology Issue out now! 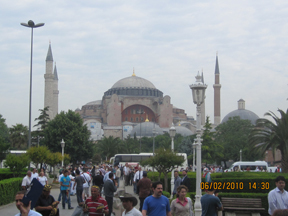 Yep, we spent three action packed and fun filled days in a Turkish jail, experiencing the greatest incompetency and disorganization of the Turkish legal system and meeting the kindest and most gracious people along the way. We will always recall the elegant Turkish business man who lent us his attorney to get us out and the perky Russian prostitute, Nilu, who interpreted English to Russian and her co-worker who translated the Russian to Turkish for us. 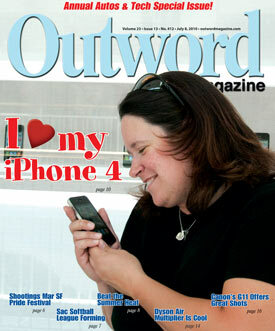 The June 24 Issue of Outword Is Out!